Stow documents and other essentials in this streamlined case, handcrafted to exacting standards in soft, lightweight leggero leather. 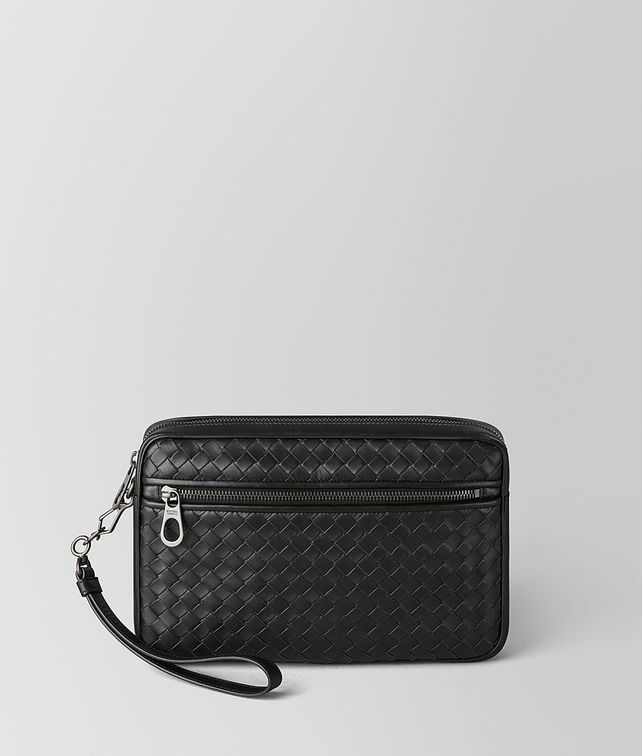 Expressing an intrecciato weave, this pragmatic piece includes a capacious interior, smartphone pocket and detachable wrist strap. Polished hardware in the signature brunito finish completes the aesthetic.